with 5 cells to show. just for testing. 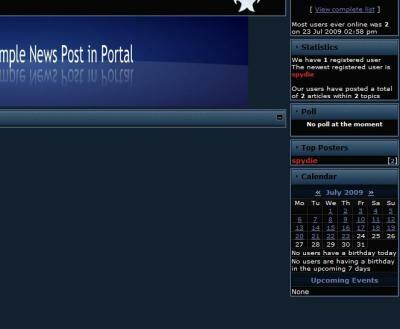 Problem is that the calendar does not show in forum. Has anybody else this problem?? Can you please try that issue on your sites to confirm this!!! Did you enable it in your profile as well? could it be that there´s a link wrong ?? or missing ?? All folders are there without any changes. 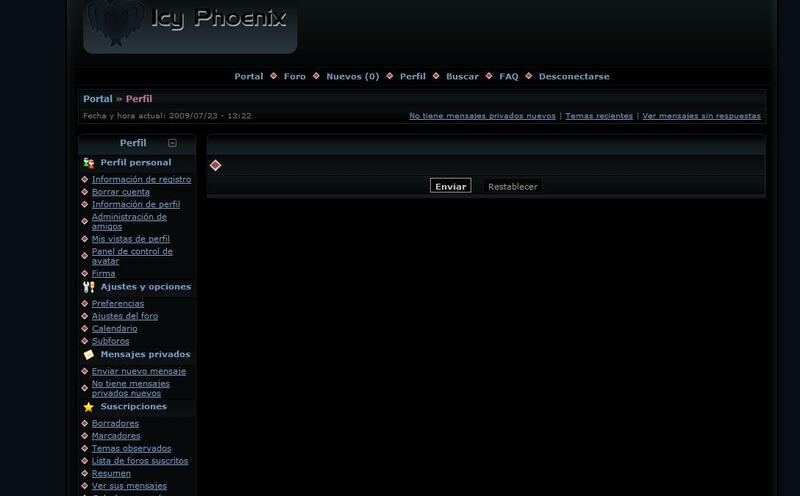 Calendar block work´s on Index but the calendar row in forum still does´nt apear. Thats definitly an link Problem. in calendar theres zip options. If you click on forum link below calendar link, there turns up the calendar option. Don´t know what i did wrong but i did a fresh install and now it works. if you got calendar on homepage and you click on last month (back) it goes to june. but when you try to get back to july it want go. did you mean on calendar.php? I am lost... we are talking about Calendar Block in forums or Mini Calendar Block? We are talking about two different issues? Please start again and clarify all things... so I can have a look. my prime issue was solved by an fresh install. Now a problem turned up with minicalendar on home index. if you select the past month then it gets stuck and want go back to current month. Ok, I should have fixed this.